Popular BBC radio programme on famous historical figures Pat is joined by comedian Arthur Smith who was at University concurrently and was a fellow member of the Cross-Country team. 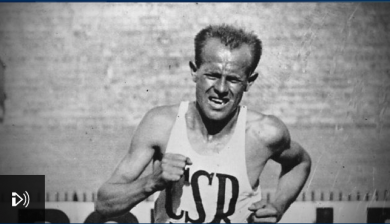 Click here to listen episode about Emil Zatopek. From the sublime – Raging Bull – to the ridiculous – Escape to Victory – sport has figured highly in the history of cinema. Indeed, the first ever picture show, in the Paris Opera House, no less, in 1896 featured two Olympic sports, gymnastics and equestrianism. It is no coincidence that the Olympic Games were revived in that same year. 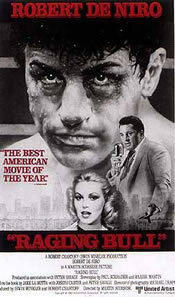 But pertinently, when American cinema quickly picked up the baton, the first sport to feature – as it would so prominently in the following century – was boxing. From those beginnings, Pat Butcher traces the history of sport in the movies, from its inception to the present day. In this two-part series (2x30mins) for BBC Radio 4 in the UK in 1999, Pat looks at how sport and the cinema have overlapped right from the start – how the great movie makers like Leni Reifenstahl, John Huston, Kon Ichikawa, Lindsay Anderson and Martin Scorsese have ventured into the arena successfully, using sport as metaphor for life itself, while so many others have failed to understand the basic mechanics of how sport and society intersect; and how having played a sport, baseball, at a high level has given Ron Shelton the insight to make entertaining and important movies about the meaning of sport for modern audiences. The links to literature – theatre and the novel – are explored, and some of the best known ‘sports movies,’ from Raging Bull and Olympia, to Rocky and When We Were Kings, to This Sporting Life, Hoop Dreams, Chariots of Fire, and Field of Dreams are dissected. The second part concentrates on the difficulties of dramatising something – sport – which is already inhercntly dramatic, and how to make actors and sports players themselves credible in their roles. Pat wrote and narrated the script, and the series was produced by Vernee Samuel for BBC Radio Sport. Using interviews (on digital disks) conducted for his book, The Perfect Distance, Pat Butcher revisits the scene of Seb Coe and Steve Ovett’s two great contests, at the Olympic Games in Moscow in 1980. The 30 minute programme was broadcast several times by BBC World Service Radio for the 25th anniversary of that momentous occasion, during mid to late July 2005. 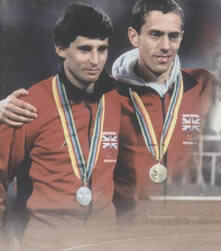 The programme features the pair themselves – Coe & Ovett – their rivals and opponents, their friends and acquaintances, and the men and women privileged to witness two of the greatest face-offs in Olympic history. Pat wrote and narrated the script, and the show was produced by Andrea Cartwright, for BBC Radio Sport.